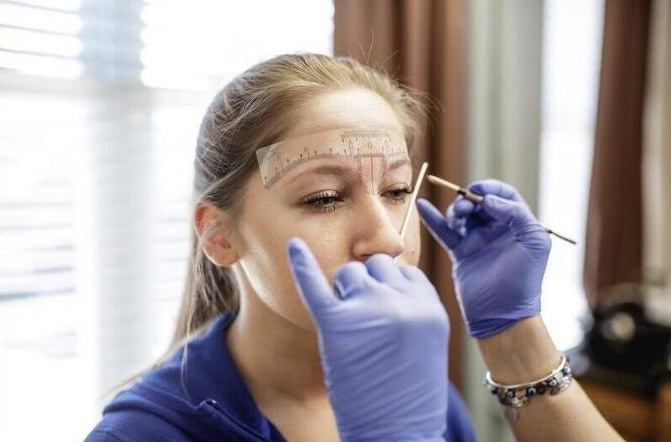 Microblading is a technique similar to tattooing used to reconstruct, define, cover gaps, or fill-in over-plucked brows. 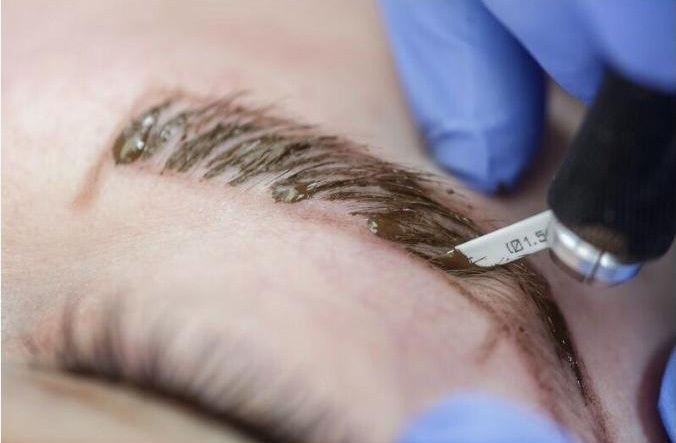 This semi-permanent technique creates subtle, natural-looking brows with delicate strokes that mimics eyebrow hairs. Our microblading expert will use a special microblading pen to draw on individual strokes one by one. The process is extremely meticulous and takes around two hours to complete. Since the results will last for up to three years before beginning to fade, much attention is paid to detail. First, our expert will draw the shape of the brow with a removable pencil. This step is extremely important and takes the longest because the shape is customized specifically for each client. Some clients may feel a slight discomfort, but it’s relatively painless. 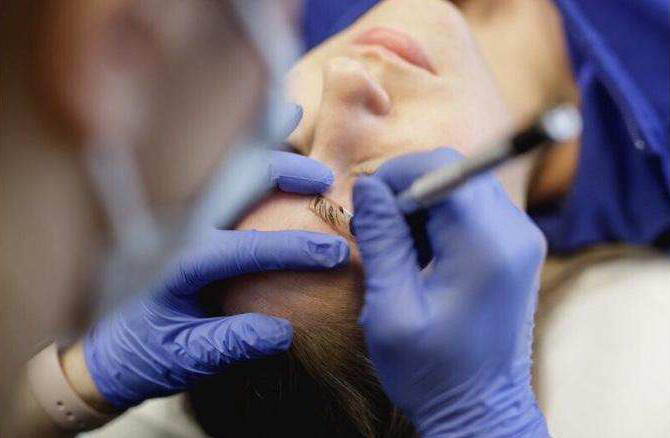 A topical numbing cream will be applied to the area before microblading begins. This is followed by a liquid anesthetic. The best part about the technique is that there is no downtime. We do, however, recommend a follow-up one month after your appointment. The healing process is different for everyone, and it takes between 25 and 30 days. 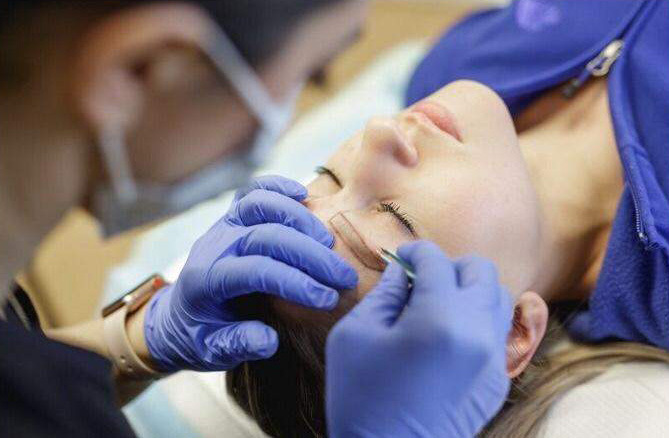 Check out our guide below that outlines the necessary steps to take at all stages of the microblading process. Each client’s skin responds differently to these treatments. This information acts as a guideline only. Cease using any skin thinners (Vitamin A, glycolic acids, exfoliation, etc.) on the brow area two weeks prior to your appointment. Cosmetic BOTOX® or fillers should be done two weeks prior or two weeks after. DO NOT consume alcohol, caffeine, or take any blood thinners (aspirin, ibuprofen, Niacin) 48 hours before your procedure. This may cause excess bleeding and may affect your results. You may experience hypersensitivity or pain if you are close to/on your menstrual cycle. We will not be able to microblade over any blemishes, sores or moles in or around the brow area. DO NOTHING! Seriously. Our clients get the best-healed results using the “do nothing” healing method. This involves keeping your brows dry from water contact for 24 hours, not applying any cosmetics to your new brows until they are fully healed (1.5-2 weeks) Be sure to keep the area clean and only use the skin care products provided or recommended. Do not expect your brows to heal perfectly after the first session. This is a two-step (sometimes multiple step) process. Be patient during your two-week healing process. Your brows will change and appear different from day to day. Immediately after your procedure, brows will appear darker and more defined. This will last up to two weeks. Your brows can appear more solid and hair strokes may seem to disappear — this is normal. Around days 4-5 you will experience flaking and your brows may look dry. DO NOT PICK your brows; let them fall off naturally. If anything gets picked off prematurely, missing hair strokes will result causing patchy brows. Your new brows will take up to 6-8 weeks to fully heal. When the flaking ends, the hair strokes may seem faint. This is because a fresh layer of skin has healed over the microblading area. Give your brows a few weeks and the hair strokes will become clearer. You may experience itchiness for up to two months after the initial 10 days. This is due to the healing process of the dermal layer. 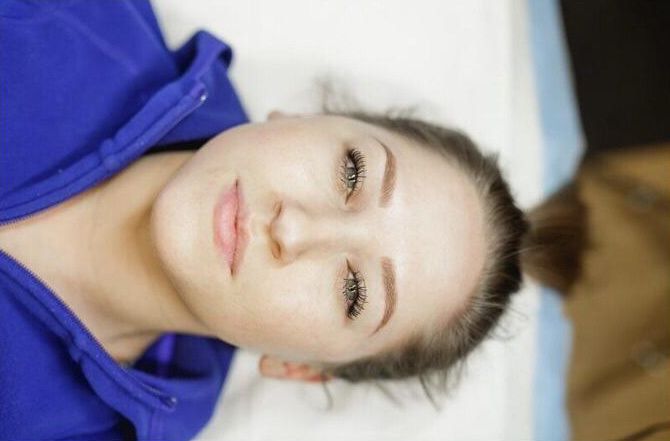 Not everyone’s hair stroke brows can heal clean and crisp. Hair strokes for oilier skin types tend to heal more solid and powdery while drier skin types tend to heal more crisp and defined. For those who bleed more, you may need more touch-ups as the blood pushes the pigment out while we perform the microblading process. DO NOT reveal your brows to high sun exposure during the healing process. Similar to tattoos, UV rays can alter the pigment where the microblading process was performed. DO NOT use cleansers, soaps or any other creams on your brows. Wash around the area with a cleaning cloth or makeup wipe. DO NOT run direct water on your brows. This is especially important in the first few days. You do not want to wash out any pigment. DO NOT use Bepanthen, Vaseline, Neosporin or any petroleum-based products on your brows. DO NOT use any makeup, creams or exfoliants on the brows for two weeks. DO NOT go into saunas, pools or steam rooms. DO NOT get massages, facials or skin treatments during the healing process. DO NOT use retinol acids or AHA’s (Alpha Hydroxy Acids) on the area for 30 days after the appointment. They will fade your brows prematurely. DO NOT use laser light therapy on your brows. This can darken, lighten and/or distort the pigment. This is a two-step process. The First Session is used to build shape and gain symmetry. The Second Session is used to perfect the brows and add additional density. Some clients may need multiple sessions to achieve their desired result. The FIRST TOUCH UP or Second Session is done within the first two months after the First Session. It is your responsibility to book your touch-up appointments. 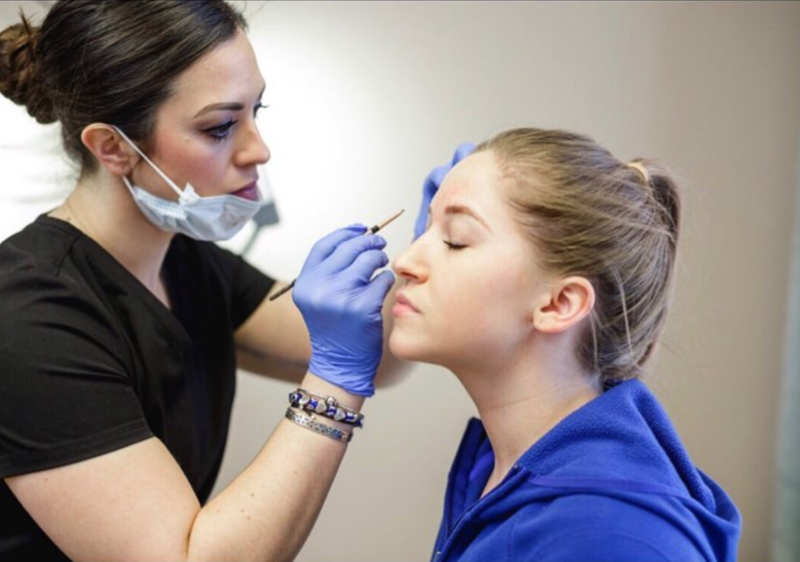 Because of high demand, it usually takes about two months to get a touch-up appointment, so please plan accordingly. If your brows come back too faded, additional charges may apply. Permanent makeup will not look as bold or sharp on clients with darker skin compared to clients with lighter skin. 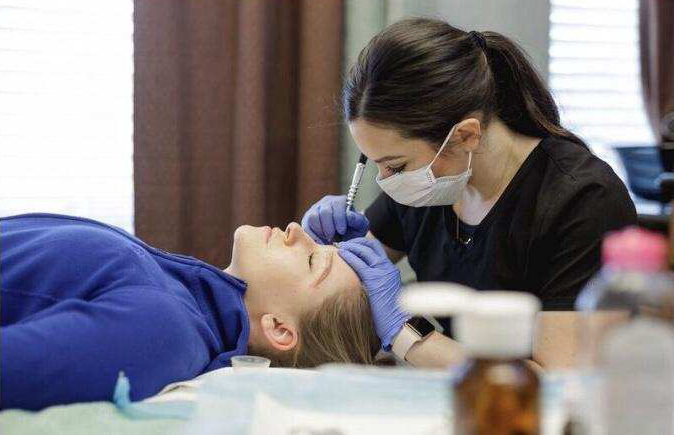 Some clients’ skin may have a harder time retaining pigment and may require additional sessions, especially if you have had your brows previously tattooed and/or have had your brows covered over by scar tissue. THERE IS NO GUARANTEE OF RESULTS. Everyone’s results will vary due to skin type, lifestyle and the initial 10-day care and long-term care of your brows. Use at least SPF 50 to protect your brows. Sun exposure will cause fading and can alter the color of your brows. Do not use chemical exfoliants on the area where the microblading process was done. This will cause the brows to fade faster. Do not use lasers on your brow area (IPL etc). Some lasers may change the color of the ink. Maintenance is required to maintain desired results. Touchups are done on average every 9-12 months to maintain your brows. Hairstroke brows typically last 1-5 years. There are no implied or written guarantees if you do not take care of your brows!